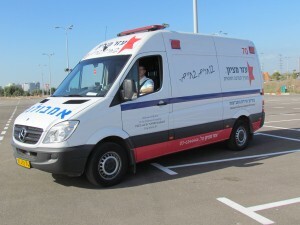 Ezer Mizion’s eighteen ambulances and vehicles for transport of the disabled cruise Israel’s roads and highways almost twenty-four hours a day, providing service to as many patients and mobility-impaired as possible. For each of the passengers, this service is as indispensable as the air they breathe. Most of them are oncology or dialysis out-patients who must come to the hospital a few times a week for treatment. Some are transported by car by our thousands of volunteer drivers. For others, their physical condition precludes travel by car, even with assistance. Yet, for these patients, frequent hospital trips are essential to life. Travel via ambulance is the only option but ambulance transport is not covered by Kupat Cholim. The cost of one trip by private ambulance begins at about NIS 400. When a few trips per week are required, the families simply cannot handle the staggering expense. What then is a family, who is already overburdened financially due to the medical crisis, do in such a case? Ezer Mizion’s Ambulance Transport center provides a response for this vital need, with the help of ambulance drivers who are on call at all hours of the day to keep the wheels of chessed turning. Is it discounted trips that are offered by Ezer Mizion? In spite of the steep overhead involved in every ambulance trip, the passengers are not asked to pay a penny. Ezer Mizion, funded by all of you out there who support the organization so generously, is the one to cover all the ambulances’ running costs and maintenance expenses. Over the last year, the ambulance network was significantly streamlined following the centralization of its calling centers. Now, anyone who needs an ambulance anywhere in the country calls one number, and all the trips are coordinated from that central headquarters. In addition, ambulance driver assistants in the center of the country have begun getting around on motor scooters, enabling one assistant to help out several ambulances within a short span of time by availing himself of this efficient and easy means of mobility. Transport Center coordinators look back with great satisfaction at the tens of thousands of life-saving trips made this year in addition to special projects such as transporting the ill and disabled to summer retreats and day camps, to Meron for prayers on Lag Ba’omer or taking patients on outings and other activities in the framework of Ezer Mizion’s Make-a-Wish project. 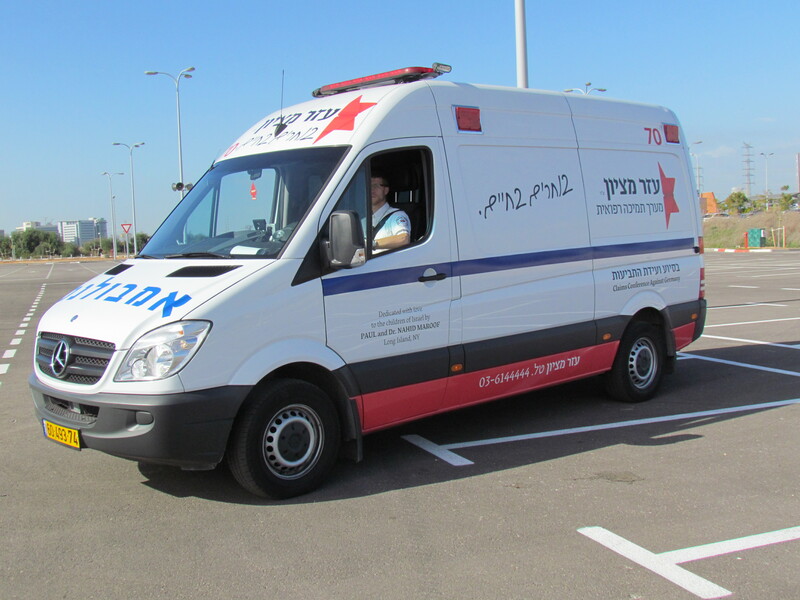 Donate now and on your next trip to Israel, you will find that every time an Ezer Mizion ambulance passes you on the road, you will feel a tremendous sense of fulfillment, knowing that you too have a part and a merit in this mitzvah transport!